I’m pretty sure everybody knows the famous film Avatar, by David Cameron. 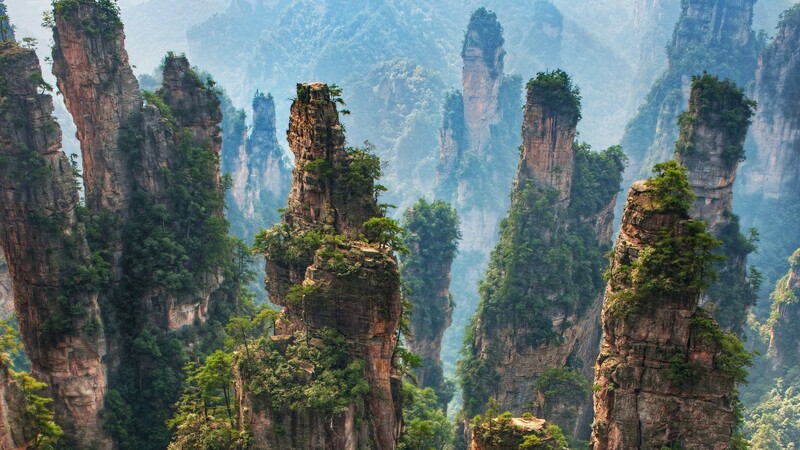 And to ask: where could we get this extraordinary forest with this giant floating stones? Impossible, you say. Almost, I answer. There is a place on Earth with something that seems to be really near what we can see in the film. And it’s in China. 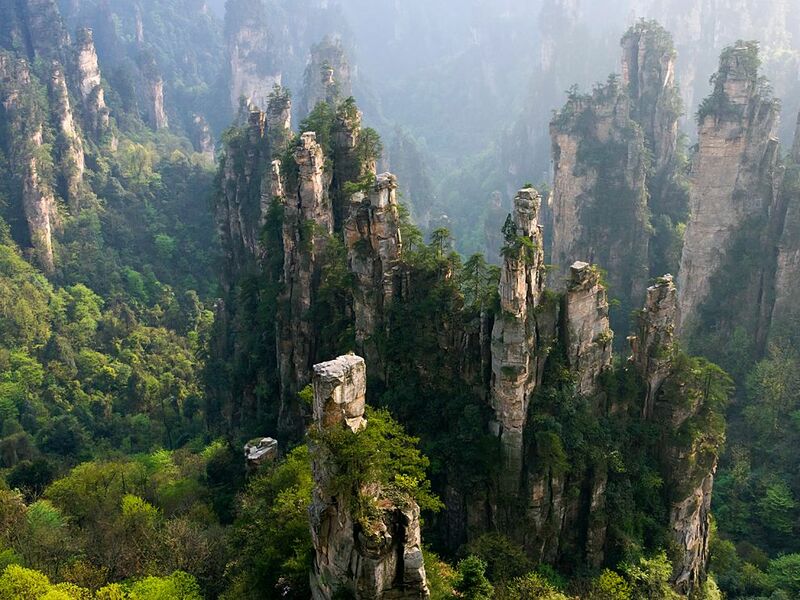 Zhangjiajie National Forest Park is the name of this area. 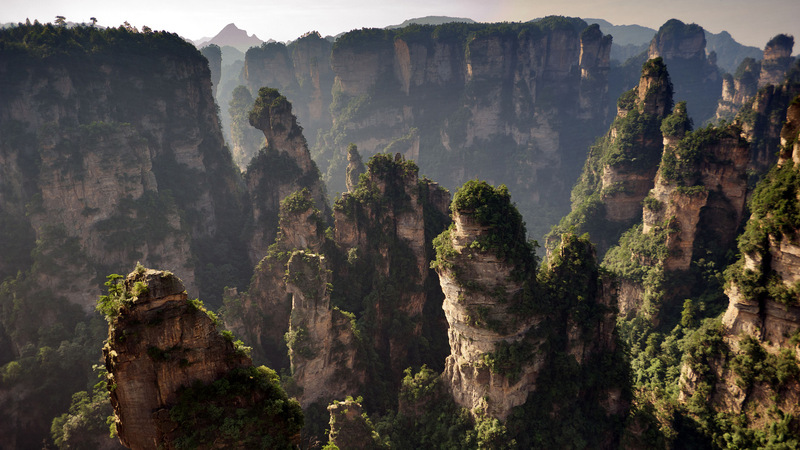 Zhangjiajie National Forest Park, China. Photo: Chensiyuan. 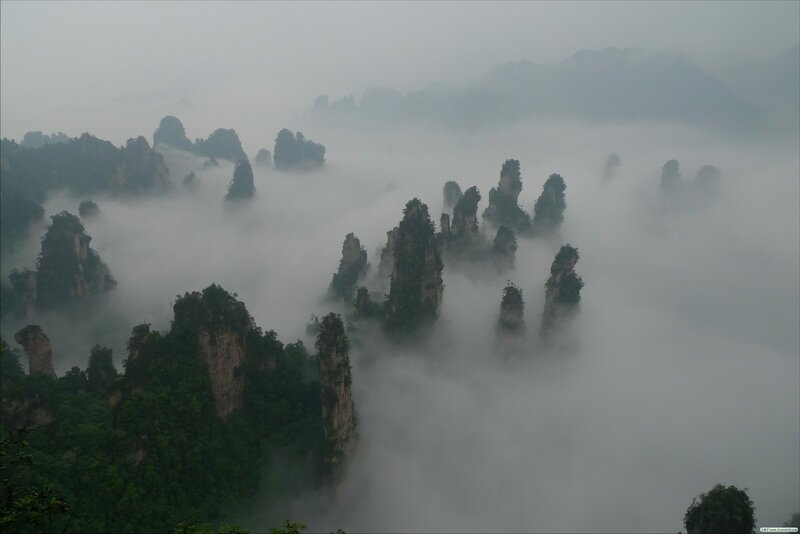 Huge stone peaks emerging from the mist is something you have to really, really have to see in your life. 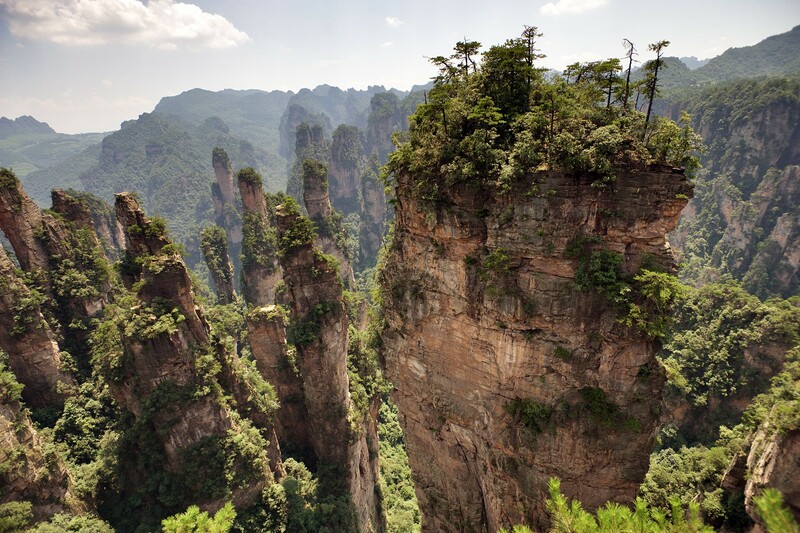 But if you suffer from vertigo, just forget it! You just won’t be able to stand at most of this place. Especially on the Grand Canyon Glass Bridge, the longest and highest (300 m!) 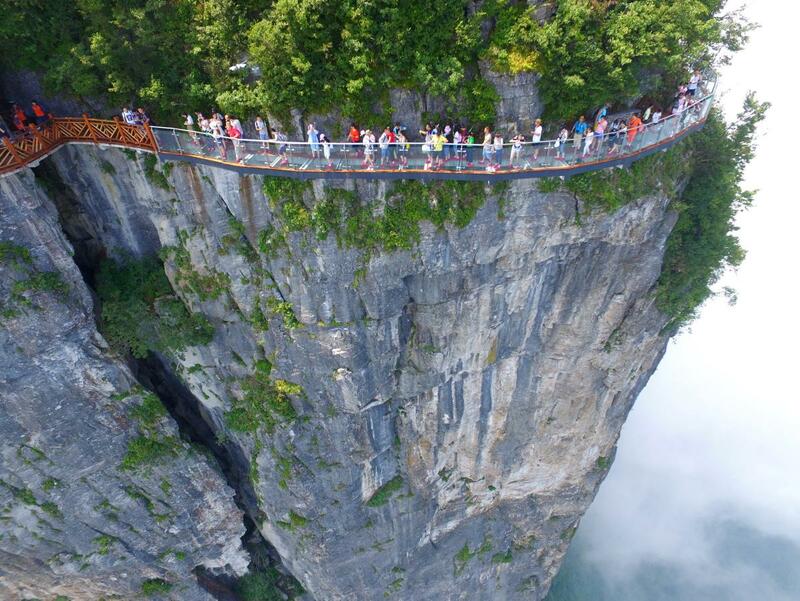 pedestrian glass bridge in the world. One word: scary. It opened in August 2016. 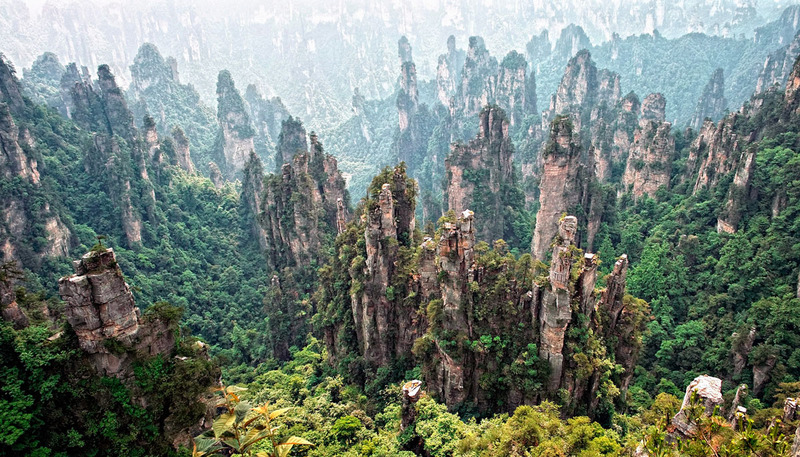 They also have the tallest lift in the world (330 m), carrying to the top of a peak up to 50 people at the same time. Well. Go there, you won’t be disappointed, I promise.